I love the movies. I love going to the movies. I love watching movies at home. And I love to share my love of movies and the magic within with my daughter. That, to me, is a secret of stay-at-home dad (SAHD) success – sharing your passions with your children. Now this doesn’t mean that we’re watching movies day and night. It simply means that us watching a movie together is something special and when at home, when we don’t have to spend a gazillion bucks on popcorn at our local multiplex, we get to enjoy a scrumptious bag of Pop Secret Pre-popped Popcorn which makes things so easy since the snack’s already made! And if there’s one movie saga about which I’m insanely passionate, it’s Star Wars™. I started sharing my love for Star Wars™ with my daughter early. As soon as she could speak I had her saying, “Chewie, come here!” when asked what Han Solo said. I mimicked Darth Vader’s breathing, Chewie’s howls, Yoda’s vocals. Now at 3, despite never seeing any of the films, Sienna knows the good guys from the bad. She sings “Weird Al” Yankovic’s “Yoda”. Together we play with little Star Wars™ dolls (graciously given to Sienna by her aunt). 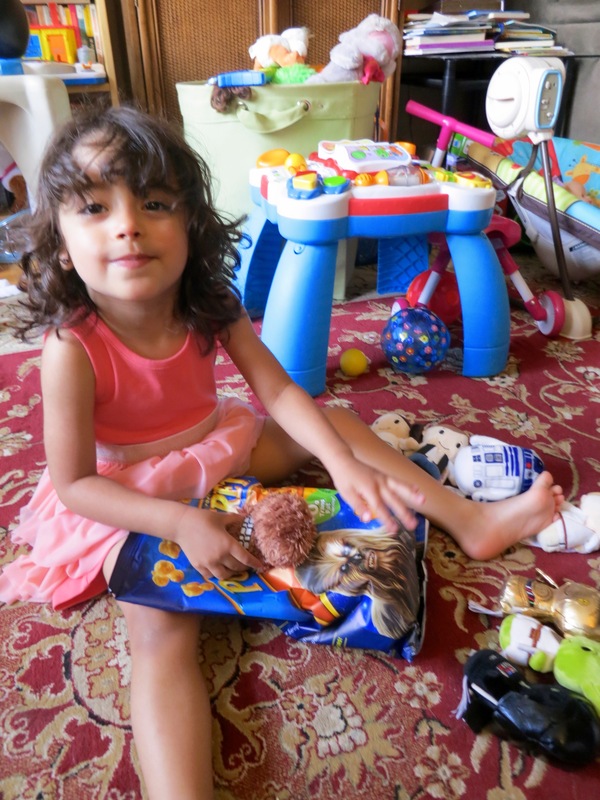 But while I share my passions with my daughter, I mostly let her dictate the course of play and imagination which as an adult is often difficult, and that’s another secret of being a SAHD – don’t just play with your child, crack open your imagination like an egg and let the creativity flow through you like The Force. Then something glorious and strange happened. 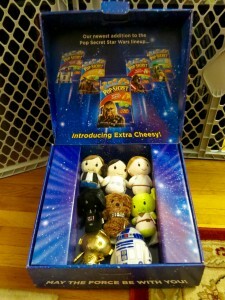 On May 4, 2015, Pop Secret debuted some awesome packaging for their delicious new line of flavors including Kettle Corn, Salted, White Chedder, Homestyle and the brand new Extra Cheesy starring some pretty well known characters who you might know as Chewie, Artoo, Darth and more. All the rumors were true! But I had to use my powers for good, right? Like teaching my daughter to use the potty which unfortunately didn’t work. Apparently I needed to refine my Force training which I shall continue to do. There’s something else very special about Pop Secret Pre-popped Popcorn that I’d like to share, something on a very personal level. For the last few months, my wife has battled stomach issues (nothing serious, thankfully) and has been forced onto a strict diet that’s eliminated so many snacks she used to love – but not Pop Secret Pre-popped Popcorn. Pop Secret is non-GMO popcorn, has no preservatives, 0 grams of trans fat and best of all, is 100% gluten free. In fact, just this past weekend we had a long postponed movie night party for my wife’s birthday with 6 of our friends which coincidentally had us watching the original Star Wars™. Amidst all the pizza, chips, pretzels and cookies, it was Pop Secret Pre-popped Popcorn that truly enhanced our movie night because my wife could happily partake. Now it’s your turn. 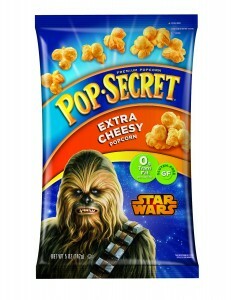 Remember that video you watched earlier and those rumblings about Pop Secret and The Force? Well there’s more to it than you might have thought. 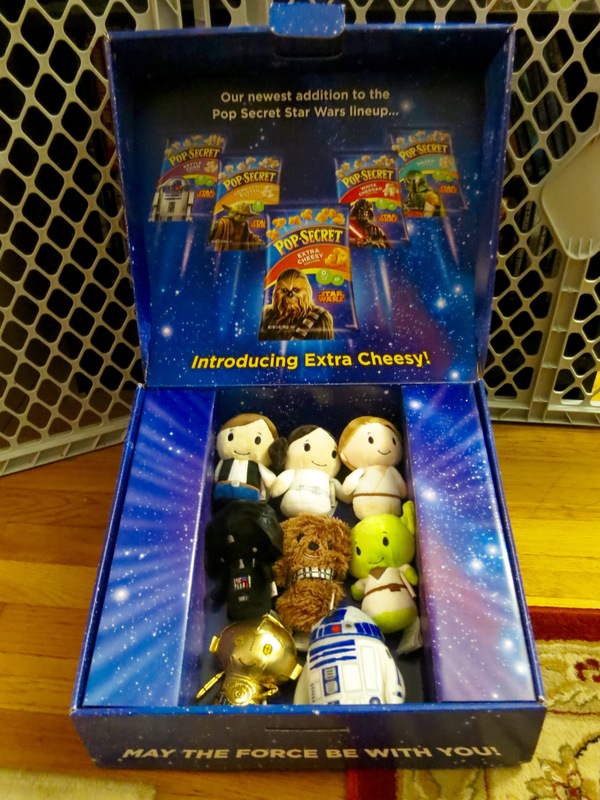 Pop Secret and Life of Dad have partnered up for a #PopWars Video Contest where the lucky winner will take home over $1000 in Pop Secret and Star Wars™ prizes. 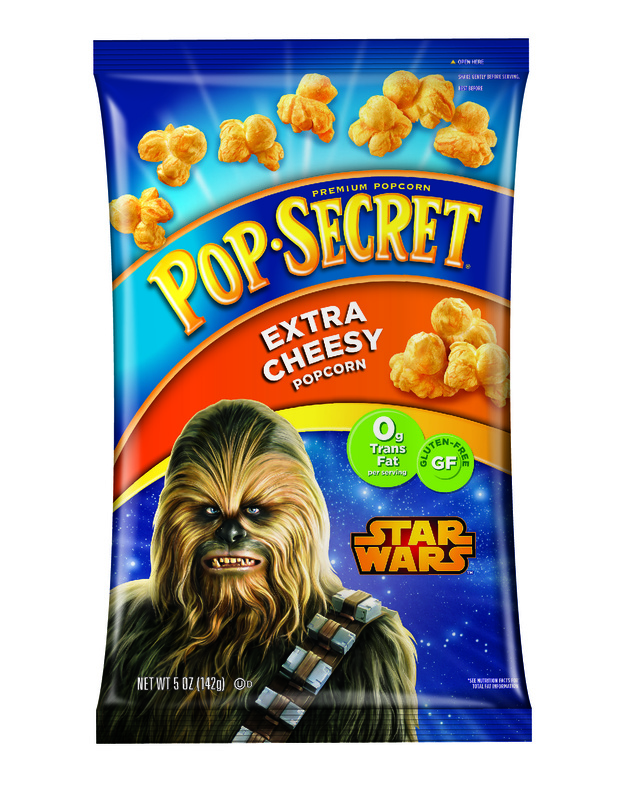 All you have to do is create an fun, uplifting video showing how Pop Secret Pre-popped Popcorn gave you or your family the powers of The Force. 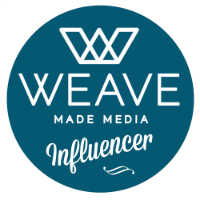 Videos will be judged on creativity, theme, and brand involvement. And make sure to tell everyone why you’re the ultimate Jedi and why your video is the best using #PopWars! For full details please visit http://popsecret.lifeofdad.com. 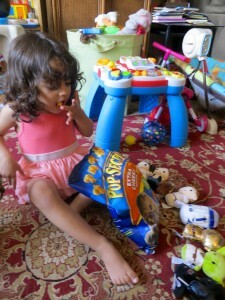 And may Pop Secret Pre-popped Popcorn, my SAHD secrets and of course, that little thing called “The Force” be with you.